released widely on a variety of labels. The work of Mystified, while elsewhere working with more pronounced electronic rhythms, here emphasizes deep, slow-moving textures. 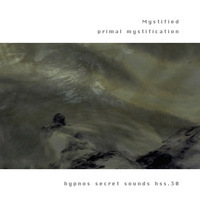 Primal Mystification includes subtle and restrained percussive elements but is definitely geared toward the listener who loves deep, thick drone work.